← Help others get organized! From scarfs to cereal, the color pink is everywhere I look this month. I see it at the checkout counter at the grocery store. I see it on the news as survivors and family members tell their stories of bravery and hope. I also see how the fight against breast cancer brings us all together. Toting pink has never been so important! A woman will die from breast cancer every 13 minutes, on average, in the U.S. This is why it is important to educate yourself about breast cancer and support breast cancer research. 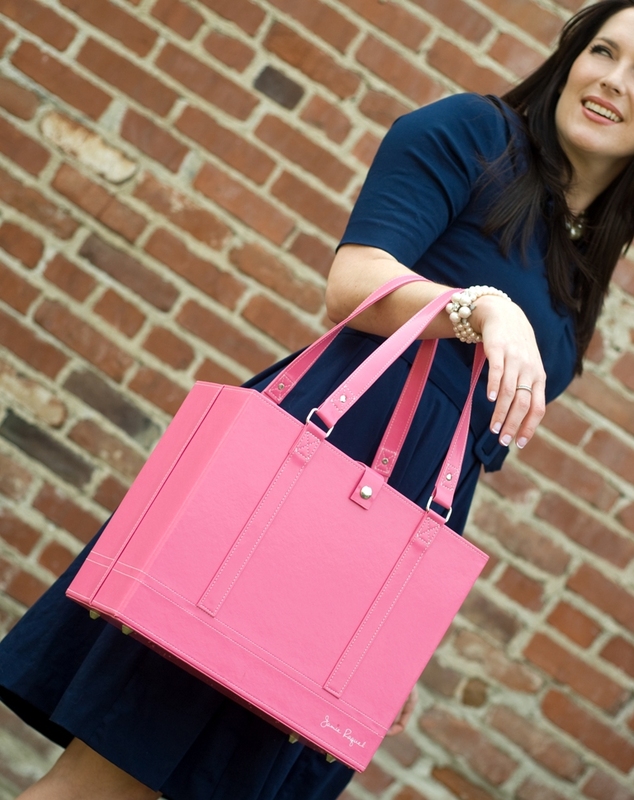 To support the cause, Jamie Raquel Inc. will be giving 10% off Hot Pink Jamie Raquel File Totes. Please enter discount code JR-TN-2K10. In addition, 10% of the purchase will be donated to the Breast Cancer Research Foundation. Currently the Foundation donates 88 cents of every dollar to research and awareness programs. Whether the Hot Pink File Tote is a gift for someone or already on your arm, we want to hear from you. Please join us on Facebook and tell us how you use your File Tote! This entry was posted in Jamie Raquel File Tote, Uncategorized and tagged Breast cancer; breast cancer research; Go pink; organize. Bookmark the permalink.